Your day-by-day itinerary now includes Bright Angel Trail as well as Antelope Canyon. Start off your visit on the 24th (Sun): trek along Bright Angel Trail. 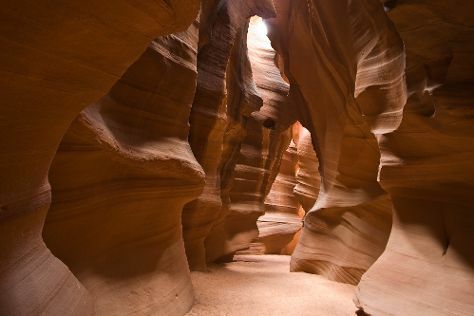 Here are some ideas for day two: take in the dramatic natural features at Horseshoe Bend and then explore the stunning scenery at Antelope Canyon. Flint to Page is an approximately 9.5-hour flight. You can also drive. The time zone difference when traveling from Flint to Page is minus 2 hours. Traveling from Flint in December, things will get somewhat warmer in Page: highs are around 46°F and lows about 30°F. On the 25th (Mon), wrap the sightseeing up by early afternoon so you can travel to Santa Fe. Your day-by-day itinerary now includes Puye Cliff Dwellings. Kick off your visit on the 26th (Tue): take in the architecture and atmosphere at The Cathedral Basilica of St. Francis of Assisi, make a trip to Canyon Road, and then explore the ancient world of Puye Cliff Dwellings. Keep things going the next day: Head underground at Bandelier National Monument, then explore the world behind art at Georgia O'Keeffe Museum, then steep yourself in history at Santa Fe Plaza, and finally steep yourself in history at Loretto Chapel. To see where to stay, ratings, reviews, and other tourist information, read our Santa Fe route planner. Getting from Page to Santa Fe by combination of flight and shuttle takes about 6 hours. Other options: drive; or fly. Traveling from Page in December, plan for slightly colder nights in Santa Fe, with lows around 22°F. Cap off your sightseeing on the 27th (Wed) early enough to travel to Albuquerque. On the 28th (Thu), soar above the sights with a balloon tour and then explore the striking landscape at Petroglyph National Monument. To find more things to do, maps, photos, and more tourist information, use the Albuquerque trip app . Traveling by bus from Santa Fe to Albuquerque takes an hour. Alternatively, you can drive; or take a train. Traveling from Santa Fe in December, expect somewhat warmer with lows of 28°F in Albuquerque. Finish your sightseeing early on the 28th (Thu) to allow enough time to travel back home.